If you are considering the University of Louisville as a college option, then consider the exciting possibilities that Louisville itself has to offer you. Visit the Possibility City website for information on visiting and/or living in the city of Louisville. The University has an extensive history that began over 200 years ago, only a few short years after the city was founded in 1778. Louisville began to prosper because of its unique location on the Falls of the Ohio River. Louisville offers a diverse and enriching environment for college students. Located on the scenic Ohio River, Louisville is the largest city in the state with over one million residents within its metropolitan area. The weather in Louisville ranges from 86 degrees Fahrenheit (30 degrees Celsius) during summer months to a low of around 41 degrees Fahrenheit (5 degrees Celsius) during winter months. Furthermore, Louisville has a four season climate. There are several exciting activities and unique events within the city annually, and here is a fun fact: Louisville is designated as a "Top 5 Foodiest City" within the nation! International and neighborhood festivals, art fairs, flea and farmer's markets, concerts, museums, and historical landmarks are only a few of the city's trademark features. Speaking of trademarks, Louisville is renowned as home to the Kentucky Derby, a national horse-racing event that is deemed "The Most Exciting Two Minutes In Sports." The city also boasts its new Louisville Loop, which is a 100 mile- long recreation path encircling the entire city. The vibrance of Louisville does not end here. The city is recognized for its expanse of parks and parkways, several of which were designed by famous landscape architect Fredrick Law Olmstead. 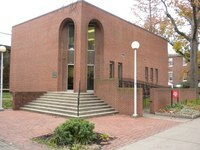 The University of Louisville is a leading urban university situated within a short distance of a plethora of cultural opportunity, a feature which is invaluable to its students.